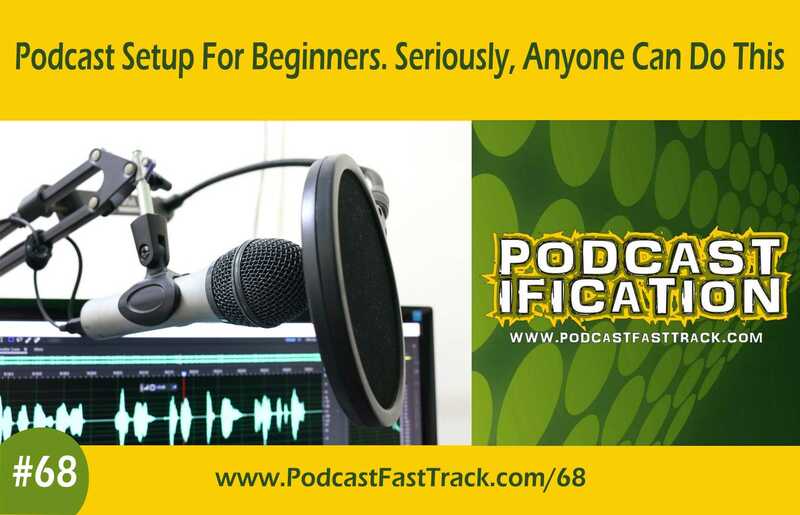 I think anyone with half a brain and can follow instructions can easily set up their own podcast, begin recording, post it on the internet, get it submitted to the directories and be LIVE within a week. It’s not a promise because it depends on you, but I’m confident it can and does happen. In fact, I’m confident it WILL happen because of this episode. If it does happen for you, I’d love to hear about it. Your podcast setup doesn’t have to be technically complicated. I know it’s the tech stuff that intimidates most people when they think about starting their own podcast. But the getting started part is really not as difficult as you imagine. It’s simply the unknown (which often looks bigger than it really is) that is making you feel that way. You can do this. I know you can. I’ve done it three times simply by following tutorials I found on the internet - and here’s the cool thing - I’ve learned how to do it without those tutorials and am able to teach YOU how to do it now. Which is what I’m doing on this episode of Podcastification. Do you have a message or body of knowledge or form of entertainment you want to get out there? Why not start a podcast? I want to help you do it - on this episode. And there’s absolutely nothing in it for me - except the satisfaction of knowing that I was able to help you. So start at the beginning, pause, take notes, use the resources listed below, whatever it takes to walk you through this step by step - DO IT. You can have a podcast up and running by the end of the month. Granted, it will be basic - but it will be YOURS. You can do this! [1:37] Why I think I can teach you basic podcast setup for free - and be just as effective. [2:35] The importance of having something valuable to say - and what that really means. [4:03] Before you setup your podcast you need to know who it is you are talking to, specifically. [6:52] Determining the equipment you’re going to use to record. [11:54] How you can determine topics for your episodes. [17:58] The most frustrating part of the process is the actual recording. [22:15] What is a media host and why do you need one? [27:02] Getting your new podcast submitted to directories like iTunes (Apple Podcasts). [31:58] If you’re podcasting and nobody hears it, did you really say anything? [38:21] And finally: how do you record someone else in an interview format?